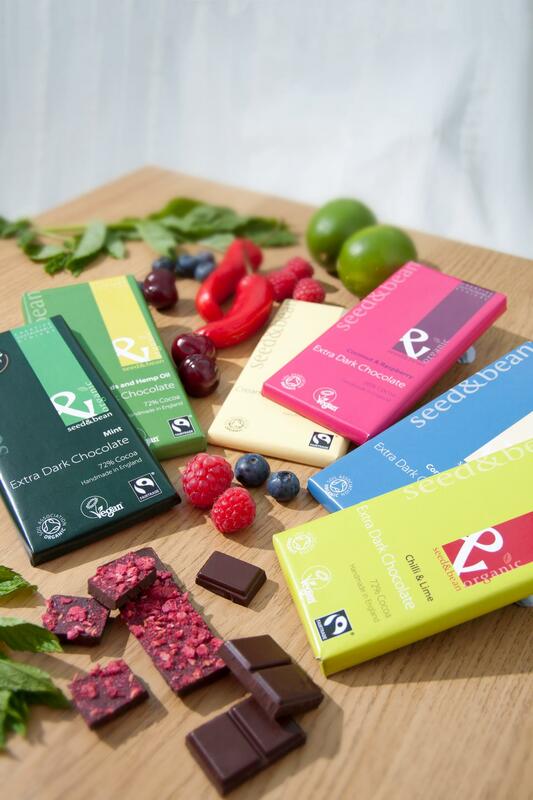 Seed and Bean are chocolatiers with a difference, as they are one of the very few ethical chocolate producers in Britain. It’s organic, fairly traded and sustainably produced. Excellent stuff. Award winning too – they’re rated as 100% ethical by the Ethical Company Organisation. But to be honest, although that is a wonderful result, it doesn’t help if the chocolate itself isn’t great. Their five Great Taste Awards suggest that it is actually really good. Which is why I was excited to be given the chance, thanks to the brilliant Millies in Leeds to try some of their wide range of chocolate for myself. After some deliberation, I chose Creamy White Chocolate with Lemon and Poppy Seeds, Rich Milk Chocolate with Sicilian Hazelnut and Almond and Extra Dark Chocolate (72% cocoa) with Pumpkin Seeds and Hemp Oil. If I’m honest, I was choosing rather more grown up flavours especially to make sure they’d be less attractive to my Dairy Milk loving daughter! Other flavours include lavender, espresso, cardamon, and chilli and lime, alongside the more usual white, milk and dark, so it would make a good gift choice for a serious food lover too. Beautiful chocolate. Image courtesy of Seed and Bean and Millies. And, let me say, the taste does not disappoint either. First to be eaten was the White Chocolate with Lemon and Poppy Seeds. I sometimes find white chocolate too sickly-sweet, but the lemon oil helps to somehow cut through that sweetness and the little savoury crunch of poppy seeds continues that. This one was my favourite of the three that I tried. The fabulous Jo Murricane made white chocolate mousse with this chocolate, which sounds amazing. Might have to give it a go myself! After which I made damn sure that I got to try some for myself, before it all vanished. And, he wasn’t wrong. It is really good. Smooth, rich and creamy, with a lovely light taste of the nuts it contains. Very moreish too. Obviously. So, my cunning plan foiled, it appears it’s not just my children who eat all my chocolate. I could sulk, but I suppose that it’s a good way of demonstrating how great tasting it is – so good it gets stolen from me by my loved ones! The final chocolate of the three I tried was the 72% dark chocolate with Pumpkin Seeds and Hemp Oil. This is definitely a grown up chocolate, to be eaten slowly, a square at a time. Definitely not a chocolate to be wolfed down in one go (which is a good job, otherwise I’d never get any!) it has an unusual, somewhat savoury flavour, but I liked it. I also think it’d be an interesting chocolate to cook with. 2 Responses to Seed and Bean Chocolate from Millies, Leeds. Those flavours sound really interesting, I’ll keep an eye open for Seed and Bean. My son doesn’t like nuts, so I buy nutty chocolate for myself – anything else and I’ve got no chance of eating it myself unless I wolf it down the second I get in from the shops. That sounds so familiar! Do give Seed & Bean a try if you get the chance, it’s really good!